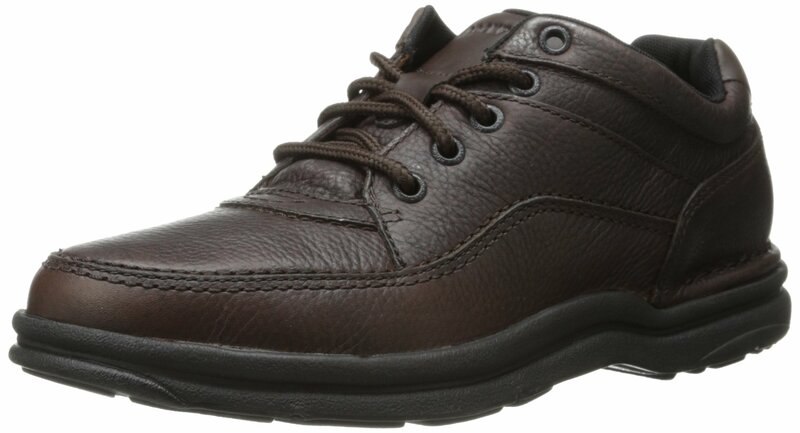 With the Rockport Margin Oxford, you will enjoy a well-built shoe that can provide exceptional comfort and support. From the interior to the exterior, it is reflective of superior quality. It has a stylish appeal. It comes with Strobel construction and a dynamic suspension foam in the foot bed. The collars and tongues are padded. It is also available in either leather or suede upper. If you work as a nurse, chef, salesperson, or in any other job that will require you to be standing all day, it is critical to make sure that you will be wearing the right shoes. You may not be able to change the fact that you have to stand for an extended period of time, but there is always something that you can do – give your feet a treat by choosing the right shoe. What are the factors that can result into pain in the foot for standing all day? It could be an outcome of a variety of reasons including being too tight, having no generous support, and lack of cushioning. The shape of your arch and pronation can also be contributory factors in foot pain. In this case, if you are looking for the best shoes for standing all day, which one should you choose? Rockport is one of the brands with a lot of promise. 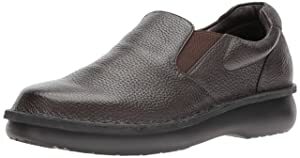 The Rockport Margin Oxford is one of their best products. Keep on reading and learn more about this shoe and why we believe that this is indeed going to be one of the best within the product category. The following are some of the main features of Rockport Margin Oxford, which can easily convince you to have it chosen above other alternatives that are available. The shoe is available in different variants, but generally speaking, the materials that are used are full grain leather and nubuck suede. The two are known not only for being stylish, but also for their comfort and durability. More so, they are popular because they are effortless to clean, and hence, making it possible to maintain their best quality and aesthetics even for an extended period of use. 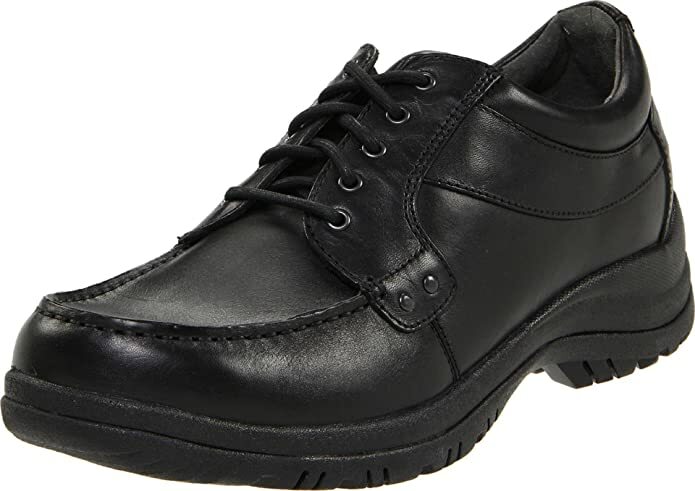 The Rockport Margin Oxford comes with an EVA foot bed, and on top of that, there is an innovative DMX foam. The latter is basically the one that is responsible for the provision of additional cushion, making it instrumental in having the highest level of comfort. This also provides a massaging sensation, which makes it more ideal for the best shoes for standing all day. Its ability to deliver unmatched comfort is not only because of technological features from the inside, but also because of innovations from the outside. The sole of the shoe is designed with the use of dual-density polyurethane. Such material is known for its ability to absorb shock, and hence, eliminating possible discomfort. When your feet hits the ground, shock is absorbed by the sole. To provide an even higher level of comfort, they also integrated padding on the tongue and collar of the shoe. Without padding, it will create friction with the surface of your skin, and hence, can lead into irritations and blisters. With the padding, on the other hand, you will feel more comfortable and rubbing can be prevented. This refers to a special technique in stitching that gives the shoe the ability to provide better comfort and support. With this, you can expect the shoe to have flexible fit and feel. In this construction, the outsole is stitched with the upper and the outsole is cemented in the insole. Compared to other types of shoe construction, it offers better durability. 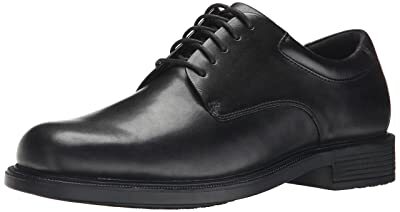 If you are searching for shoes that look stylish, Rockport Margin Oxford is one option that should not be missed. Whether it is at work or a night out spent with friends, this shoe can make you look fashion-forward without being too loud. It has a casual appeal that may command a second look and can match your casual wardrobe. Variety: One of the things that we liked about Rockport Margin Oxford is the selection that you will be confronted with. You can choose from Espresso Nubuck, Black, Chocolate, Black Nubuck, and Black Leather. Laced: It is also a good thing that the shoe is laced. We believe that this is better than slip-ons because the laces can provide you with the opportunity to have the fit customized based on what you prefer. This also keeps the shoe secured. Excellent Arch Support: Many shoes have an arch that is too high, which can possibly pose serious problems for some people. The design of the arch of this shoe is just right, providing you with sufficient support. Easy to Clean: Whether you opt for the leather or suede, you will surely not find it hard to maintain the shoe at its best. This is a low-maintenance pair that can look good even in spite of long term use. Stylish: This shoe is not just perfect for work. Even when you are out and having fun with your friends, you can still wear it. It has an aesthetically-pleasing design that exudes a lot of sophistication. Latex Foot Bed Cushion: The cushioning is important for shoes for standing all day because it can promote your comfort. If it lacks cushioning, your feet will feel the impact on the ground, and hence, resulting into discomfort. High-quality Sole: The sole is as important as the foot bed when it comes to comfort. With the Rockport Margin Oxford, we were happy to know that the sole is made from a material that is capable of absorbing shock. It also delivers excellent traction, which makes it able to promote your safety. Squeaky Sound: If you are the kind of person who easily gets annoyed with squeaky sound, you might not like this shoe. Some users have complained that it produces a weird squeaking noise, which can be too loud at times, depending on the surface where you are. Smaller Size: Compared to other shoes, some users note that its size tend to run a bit smaller. Some found the shoe to be too small and tight for their size. Refer to the sizing chart of the manufacturer to know what exactly you need.